In recognition of Gerry Lines’ extensive community service, the City of Ottawa has been asked to rename the North Gower Bowling Alley as the “Gerry Lines Bowling Alley”. Gerry Lines served as president of the North Gower Community Centre Board for 11 years. During that time, the Board managed the community centre, the ball diamond, boys’ and girls’ ball teams, as well as the outdoor arena and hockey. Gerry was also instrumental in the development and construction of various recreational facilities in his community, many of which continue to be enjoyed by residents of North Gower. View the online proposal for the “Gerry Lines Bowling Alley”. According to Weedinfo.ca, wild parsnip is a very common plant that shows up in "abandoned yards, waste places, meadows, old fields, roadsides and railway embankments" and in Ottawa it's popping up more and more. Flewellyn Road, just east of Shea Rd. The yellow flowered plant is Wild Parsnip (a.k.a., Poison Parsnip).The flower of Wild Parsnip has some resemblance to Queen Anne's lace, though it's flower is yellow instead of white. It may seem pretty, but stay well away from this "flower".Poison Parsnip is a member of the same family of plants as Giant Hogweed and can cause similar injuries. Touching any part of the plant - or coming into contact with its oil - can lead to phytophotodermatitis and even blindness if the oil gets in your eyes. Sun exposure causes a reaction with the plant's oils that can cause mild to moderate reddening of the skin with burning sensation. More severe cases can even lead to extreme burning and third degree blistering of the skin. Dress in long sleeves, long pants and wear gloves. If your clothes come into contact with poison parsnip, avoid brushing against them when changing and washing them. Keep animals, and particularly pets, away from the plant. If they come into contact, do not touch or pet them before thoroughly washing the plant's sap off of them. Please note: Animals can be burned by the combination of the oil and sunlight - in particular if they have little to no fur/hair. Cover the area so that it isn't exposed to the sun. Wash the affected area immediately and thoroughly. If the area is burning, a cool cloth can be used for relief. Treat blisters as you would minor burn blisters - avoid puncture and keep clean, dry. See a doctor for more severe burning and blisters. For eye contact, thoroughly rinse your eyes and get to an ER immediately. Wild parsnip burns can take a few days to heal or several months for more severe cases. Some doctors mistake the burns from this plant for poison ivy. Please share this information with your friends, family and neighbors so more people will know what it is and how to avoid it. A Road Close Authorization has been granted for Century Road East from Manotick Main Street to First Line Road. 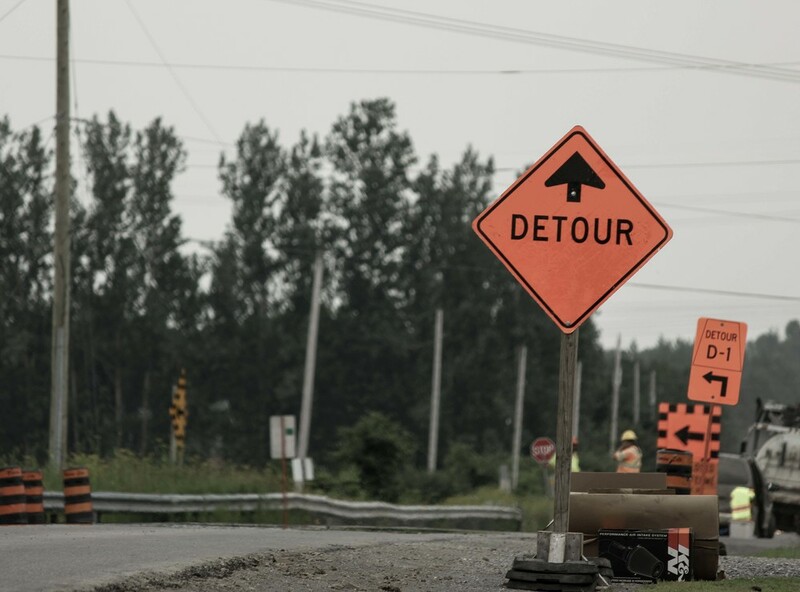 The purpose of this closure is because Minto’s contractor, Robert Excavating, will be installing and connecting new sanitary, storm and water mains to service the new Mahogany Community in Manotick. The City of Ottawa will be closing River Road to complete a culvert replacement. This work is being done on the weekend to minimize the impact to commuters. The road will be closed starting 7pm, Friday, July 26 and will open back up at 6am, Monday, July 29. All dates listed here are approximate and construction is expected to be completed this year. Various factors, such as weather or availability of materials, can cause delays and extend the construction timeframe. Ashton Station Rd. to Munster Rd. Ormrod Rd. to Flewellyn Rd. Ashton Station Rd. to Flewellyn Rd. McBean St. to Eagleson Rd. Dead End @ Hwy. 7 to Carp Rd. Donnelly Rd. to McMullen Rd. Lockhead Rd. W to Church St.
Roger Stevens Dr. to Century Rd. Century Rd. to Brophy Rd. Malakoff Rd. to McCordick Rd. There will be various projects on the 416 and 417 this year that will create a variety of lane closures and, no doubt, traffic delays. Here are the key dates and areas work will be done to help you plan your travels. July 10-11: Temporary lane closure on Hwy 416 northbound, 3.7km south of Roger Stevens Dr. Traffic reduced to one lane from 7am to 7pm. July 15: Temporary lane closure on Hwy 416 southbound, 3.7km south of Roger Stevens Dr. Traffic reduced to one lane from 7am to 7pm. July 15-August 16: Long-term lane closure on Hwy 416 northbound, 3.7km south of Roger Stevens Dr. Traffic reduced to one lane for the duration of the project. Two bridges along the 417 are being replaced this summer using rapid lift technology. This new method of bridge replacement allows for minimal disruptions, but the highway will need to be fully closed overnight for each replacement. Here are the dates and details for both upcoming closures (starting tomorrow, July 6, 2013). The City streets under each bridge will be closed as well, effective 4:00pm prior to the closing of the highway. The Queensway will be closed eastbound and westbound at Kirkwood Avenue from 6:00pm on Saturday, July 6 to 11:00am on Sunday, July 7. The Queensway will be closed eastbound and westbound at Carling Avenue from 6:00pm on Saturday, July 13 to 11:00am on Sunday, July 14. We'll add any additional roads updates to this post through the summer, so keep it bookmarked and check it out before you make your travel plans. UPDATE: The burn ban has been lifted as of April 30, 2013. Every spring Ottawa Fire Services issues a city-wide burn ban to prevent grass and brush fires that can spread very quickly after the snow melts and before we start to see green again. The ban will remain in place as long as conditions remain dry. This winter left us with more debris on the ground, such as fallen tree branches, leaves, etc., which has created an increased risk. IMPORTANT: All open air fires are prohibited during a fire ban, even if you have a burn permit for your property. For the safety and protection of all City of Ottawa residents, there is zero tolerance enforcement during the ban. How can you reduce risk of fire on your property? It's spring cleanup time for everyone! Here are some things you can do to help prevent fires from starting near your home and other property. Keep BBQ propane tanks at least 3 m from buildings. Carelessly discarded cigarettes continue to be a major cause of grass fires during these dry periods. Smokers are reminded to please use care when butting out. Do not throw lit cigarettes out vehicle windows. In the event that you see a fire happening, stay away from the area and call 9-1-1 to report it. Watch our site to get updates about when the burn ban is lifted. Construction to replace the watermain along Hazeldean Road between Kincardine Drive and Castlefrank Road is scheduled to recommence. The project, which was started in fall 2012,is expected to be completed by October, 2013. Construction work related to the watermain upgrade will require access to Young Road from Hazeldean to be closed starting April 17 for a period of approximately two weeks. In accordance with the City of Ottawa’s Infrastructure Master Plan and to enhance service, the existing iron watermain, which was installed under the eastbound lanes of Hazeldean Road in 1976, is being upgraded to match the size of the existing feedermain east and west of the project limits. Hazeldean Road watermain upgrade is an Ottawa on the Move project, which advanced $340 million of capital projects to be completed from 2012 to 2014. Ottawa on the Move is about keeping our community and economy moving forward through strategic investments in a number of transportation, water, and sewer projects to build a better city and create jobs. The City of Ottawa has received several complaints from residents who have been contacted by salespeople of water-filtration or treatment systems and provided incorrect information pertaining to water quality. The City reminds residents that Ottawa’s drinking water is completely safe and of the highest quality, which is ensured through rigorous and ongoing testing. In addition, residents are reminded that City employees do not contact residents to sell products or services. Except for emergency situations, any visits that may require access to homes or businesses by City staff are scheduled in advance. Residents are also provided with advance notice of projects that may impact them. All employees requesting access to homes have City-issued photo identification cards. Residents who are directly contacted by persons claiming to be City employees for City business are asked to check identification, and, if concerns remain, contact the City prior to allowing access. Residents are also asked to report any suspicious, unsolicited calls or visits. The drinking water delivered to City residents exceeds all federal and provincial health-based water-quality guidelines and standards. Ottawa’s drinking water has already been rated by the Ministry of the Environment (MOE) as being among the safest in the world. As recently as this year, the Chief Drinking Water Inspector for Ontario again recognized the quality of Ottawa’s drinking water. The City has an extensive drinking water quality analysis program and posts all of these results on our website, www.ottawa.ca. If you have any questions about this or any other concern, please call 311 (for urgent matters) or 613-580-2491 to speak with Scott. The City of Ottawa would like to remind residents of the following schedule changes for Family Day (Monday, February 18). Rink of Dreams, located on Marion Dewar Plaza at Ottawa City Hall, is open on Family Day for the Mayor’s Annual Family Day Skating Party, weather permitting. Most recreation facilities will be modifying their hours of operation on Monday, February 18. There may be changes to schedules and program cancellations in order to provide special programming for the Family Day holiday. Additional swimming and skating sessions will be offered at many sites. Please check schedules at ottawa.ca or with the facility of your choice. Ottawa City Hall and all seven Client Service Centres, including the Government Service Centre located at 110 Laurier Avenue West, will be closed on Family Day, February 18. Business will resume as usual on Tuesday, February 19. The City’s Provincial Offences Court, located at 100 Constellation Crescent, will also be closed on Family Day. Business will resume as usual on Tuesday, February 19. The City’s 3-1-1 Contact Centre will be open for urgent matters requiring the City’s immediate attention. Call 3-1-1 or 613-580-2400 to speak to a customer service representative. For persons living with a hearing-related disability, call (TTY): 613-580-2401. There will be no curbside green bin , recycling or garbage collection on Family Day. Family Day’s pick-up will take place on Tuesday, February 19. In addition, the collection of green bin, garbage and recycling materials will be delayed by one day for the week of February 18. For curbside collection enquiries, refer to the collection calendar tool. There will be no multi-residential green bin and recycling container collection on Family Day. Family Day’s pick-up will take place on Tuesday, February 19. Collection will also be delayed by one day for the week of February 18. However, multi-residential garbage container collection is not delayed and collection will take place on its regularly scheduled day during the week of February 18. The Trail Road landfill site is closed on Family Day, Monday, February 18. OC Transpo will operate a revised weekday schedule with minor reductions on Monday, February 18. Special school trips and school routes numbered in the 600s will not operate. The $7.75 DayPass will be valid as a Family DayPass. Call 613-560-1000 or text 560560 plus your four-digit bus stop number for automated schedule information. For more information, holiday schedules and travel planning, phone 613-741-4390 or visit octranspo.com. OC Transpo Sales and Information Centres will be open from 7a.m. until 6p.m. on February18, except the Rideau Centre office, which will be open from 10 a.m. until 6 p.m. The OCTranspo Telephone Information Centre (613-741-4390) will be open from 7a.m. to 9 p.m. The OC Transpo Customer Relations Department (613-842-3600) will be open from 8a.m. to 5:30p.m. Billings Estate National Historic Site and Shenkman’s Arts Centre are open for Family Day events. City of Ottawa Archives, arts centres, galleries, theatres,Cumberland Heritage Village Museum and Pinhey’s Point Historic Site will be closed on Family Day. However, clients should check with ottawa.ca or their facility to confirm holiday hours, as some exceptions may apply. City-operated Child Care Centres are closed onFamily Day. All branches, departments and services of the Ottawa Public Library will be closed on Family Day, Monday, February 18. Regular hours will resume Tuesday, February 19. Site Program – Site office is closed, however, the site mobile van will be operating on a regular schedule from 5 p.m.to 11:30 p.m. It's cold out there today - take care and be safe! Ottawa Public Health (OPH) has issued a Frostbite Warning to ensure people take appropriate precautions before going outside and to encourage homeless people to seek shelter from the cold indoors. This warning is in effect for the evening of January 22 until the morning of January 24, 2013. With a wind chill of -35 or colder, exposed skin can freeze in less than ten minutes. There is also an increased risk of hypothermia for people who stay outside for long periods of time without adequate protection. Overexposure can result in severe injury and even death. OPH recommends that you wear several layers of clothing to keep warm and make sure that the outer layer protects you from wind and wetness. To seek assistance for a homeless person, concerned citizens are encouraged to call The Help for the Homeless Phone Line at 613-580-2626. Calls are answered by the City of Ottawa Call Centre on a priority basis and referrals are made to the appropriate services. For more information visit ottawa.ca/health or call 613-580-6744 (TTY: 613-580-9656). You can also connect with OPH on Facebook and Twitter (@ottawahealth) for the latest news from OPH. Manotick residences and businesses on the City water system may experience a slight decrease in water pressure during the repairs. Ottawa Public Health has issued a heat warning for June 19-21 - stay safe in the heat! ﻿The Medical Officer of Health is issuing a Heat Warning for June 19 to 21. A heat warning is declared when Environment Canada forecasts a humidex of 40 or hotter for at least two consecutive days. It is important to know that extreme heat can cause dehydration, heat exhaustion, heat stroke and even death. No excuses now! The City of Ottawa is offering free fitness passes that will allow you to try out our fitness facilities and fitness classes. Motorists travelling along Knoxdale Road between Craig Henry Drive and Millford Avenue can expect delays as construction crews replace sanitary sewers. Work is scheduled to begin Monday, April 30 and will last until July 31, 2012. National Immunization Awareness Week in Canada is April 21 to 28 and Ottawa Public Health (OPH) is reminding residents to update their immunizations. Immunization is recognized as the most cost-effective way to decrease vaccine-preventable diseases in Canada. Want to learn more about how you can help slow the spread of emerald ash borer, an invasive species that is killing Ottawa’s ash trees? The City of Ottawa is receiving applications for its popular Ottawa Rural Clean Water Grants Program (ORCWGP). The program provides grants to projects that protect groundwater and surface water in rural areas. Landowners completing projects in 2012 may be eligible for up to $15,000 in grants depending on the project they are undertaking. The application deadlines are May 1, 2012 (and September 30, 2012, if funds available). Residents who are on a well should test their water regular to ensure their water supply is safe to drink. It is recommended that testing for bacteria is completed three times a year and after major plumbing work. Testing for nitrates is also recommended. In agricultural areas, residents may also wish to test for pesticides, herbicides, gasoline and solvents. REMINDER: During the spring thaw period, many roads in the City of Ottawa cannot withstand heavy loads. As of 6 pm Thursday, March 15, 2012, all commercial vehicles or trailers with a gross vehicle weight in excess of 5 tonnes or 11,000 lbs. per axle are prohibited on roads where restriction signage is posted, and on all roads identified as restricted on the 2012 Truck Route Map.